White River Waterkeeper (WRW) is reminding the public to be mindful of harmful algal blooms (HABs) in rivers, lakes, and streams, and to keep dogs, children, and individuals with compromised immune systems away from these blooms if seen. 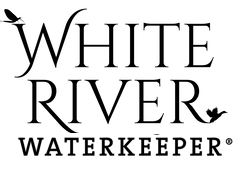 White River Waterkeeper is a nonprofit organization focused on protecting the public health and natural resources of the White River watershed through advocacy, education, and research. Within this boundary lies the Buffalo River, our first national river, a tributary to the White River. Reports, pictures, and press releases addressing nuisance algae on the Buffalo River have been ongoing and increasing in frequency since summer 2016. Following recent reports of illness suspected to be associated with toxins from HABs on the Buffalo River, researchers have been further investigating to determine algal species and presence of cyanotoxins. Preliminary efforts have confirmed the presence of Microseira wollei (formerly Lyngbya wollei) in collections from the Buffalo River. Densities and distribution are not thought to be widespread at this time. Harmful algae (blue-green algae) are not algae at all, but cyanobacteria, which are small microbes that live in nearly every habitat on land and in the water. They have existed for millions of years as essential components of freshwater ecosystems and form the foundation of most aquatic food chains. But, when environmental conditions favor their growth - warm temperatures and low or stagnant water flows - they can multiply very rapidly, creating what is called a HAB. Some cyanobacteria are capable of producing toxins (cyanotoxins) that can harm pets or people that come into contact with them. Although HABs can occur anywhere in a body of water, in lakes they tend to be more concentrated in areas where water movement is limited, downstream of wind and water currents. In streams or rivers, they can be found attached to the sediment on the bottom or floating along the shoreline in backwater eddies. Please be aware that HAB location, extent and toxicity can change quickly. Microseira wollei is a filamentous cyanobacterium that can form floating or benthic (bottom-dwelling) mats and is considered a nuisance cyanobacteria in many ecosystems. It occurs in freshwater and is known to flourish in spring-fed waters. Mats may be several inches thick and can cover large areas of the water surface or benthic sediments, and appear dark green to black in color. In addition, they are known to emit strong and unpleasant earthy or musk-like odors. Microseira wollei has been illustrated to produce the following toxins: cylindrospermopsin and saxitoxins. While monitoring efforts are underway to determine the presence and concentrations of two common cyanotoxins, results and confirmation are not currently available. Furthermore, there are other associated toxins which are not being tested for at this time. Although there are many unknowns at this time, if visiting a waterbody with suspected harmful algae, there are a few precautions the public can take to safeguard themselves, families, and pets. Avoid body contact with cyanobacteria. Keep an eye on dogs and children, ensuring that they do not approach areas with HABs. Do not drink untreated lake or river water, and do not let your dog drink HAB-affected water. Common water purification techniques such as camping filters, tablets and boiling do not remove toxins. Do not cook or wash dishes with lake or river water. Wash yourself, your family and your pets with clean water after lake or river play. Consume fish only after the guts and liver have been removed, and rinse filets. Citizens are encouraged to report suspected harmful algal blooms to Arkansas Department of Environmental Quality. The Harmful Algae Bloom Complaint Form is available online and through mobile applications. https://www.adeq.state.ar.us/complaints/forms/harmful_algae_complaint.aspx. Also, citizens are encouraged to forward complaint submissions to pollution@whiteriverwaterkeeper.org. For more information on how citizens can help document the presence and duration of algae, visit https://www.whiteriverwaterkeeper.org/hab. Exposure to a HAB, if it is toxin-producing, can result in eye irritation, skin rash, mouth ulcers, vomiting, diarrhea, or cold and flu-like symptoms. Pets can be especially susceptible because they tend to drink while in the water and lick their fur after, increasing their risk of exposure and illness. Symptoms of animal illness include vomiting and/or diarrhea, lethargy, abnormal liver function test results, difficulty breathing, foaming at the mouth, muscle twitching and sometimes death. Children and immunocompromised adults should use extra caution to avoid exposure to HABs. If illness arises within 72 hours of recreating on the water (i.e., swimming, paddling, wading, fishing), WRW is asking individuals to participate in a Recreational Water Quality Illness Survey. Contact information has been requested from ADEQ, ADH, and BNR for reporting illnesses to public health officials and will be compiled on WRW’s website, along with additional HAB-related resources and updates as monitoring efforts and conclusions develop. Next Steps White River Waterkeeper has reached out to ADEQ, ADH, BNR, and several other responsible agencies and officials, offering to assist with monitoring and lend resources and expertise to efforts to develop an appropriate response plan. In the meantime, WRW will continue monitoring the situation and continue ongoing efforts to make publicly available interactive maps documenting HAB locations and advisories, if any should arise. To participate in the illness survey, stay informed of ongoing information and developments, and to donate directly to HAB and cyanotoxin monitoring efforts on the Buffalo National River, visit https://www.whiteriverwaterkeeper.org/hab.